Hi there! Thanks for stopping by! 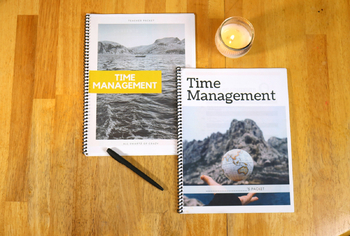 It is becoming increasingly important to teach our kiddos the fundamentals of time management! 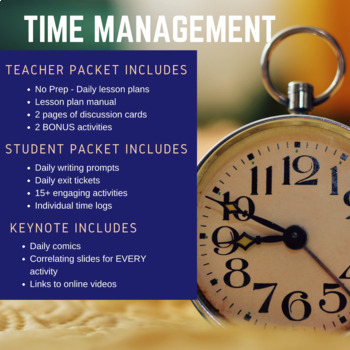 Teaching students good time management can allow them to: accomplish more in a shorter period of time, take advantage of learning opportunities, lowers stress, and helps them focus. Each benefit of time management also improves another aspect of your life and career success! 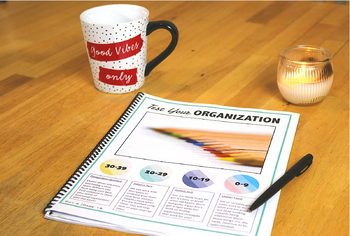 This resource includes five days of engaging and interactive time management and organization activities for all middle - high school students. 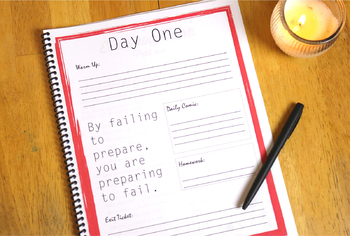 Student Packet (24 pages): Daily writing warm ups, daily exit tickets, daily comics, complete rubric, 14 engaging- real life activities, fill-in notes, time logs, and it's all COMPLETELY EDITABLE! Teacher Packet (16 pages): 5 pages of complete no-prep lesson plans, daily materials, daily homework, 2 pages of keys, time management notes, 2 pages of discussion questions, additional time log, 2 BONUS activities, and it's all COMPLETELY EDITABLE!! Keynote (70 slides): Correlating slides for EVERY activity, daily writing prompts, daily comics, daily exit tickets, links to online videos, bright colors, and it's all COMPLETELY EDITABLE!! Let's stay connected! Check out my website for more ways to "Make Education an Every Day Adventure!" Don't forget my personal favorite, Instagram! Perhaps Facebook? Here’s my page! Please consider leaving a rating and comments! I LOVE and value feedback as it helps me improve my products. It can also help you earn credit for future purchases! That's awesome! Thank you in advance!